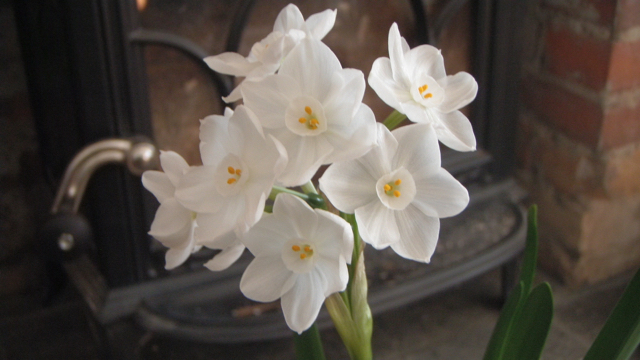 Paperwhites, Narcissus papyraceus, are one of the most fragrant Narcissus species. 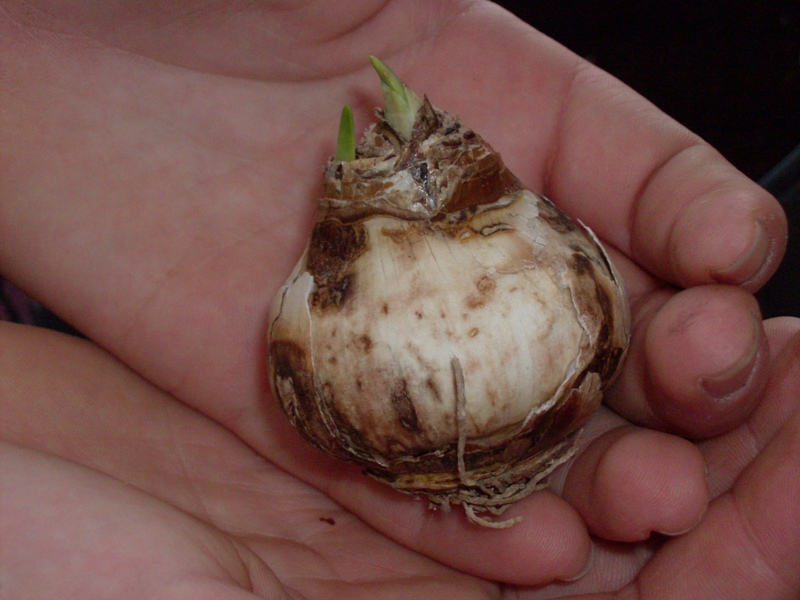 Although they’re native to the Mediterranean region, the bulbs have become naturalized in other regions with mediterranean climates, such as California, which have warm, dry summers and cool, wet winters. Along with blooming amaryllis (Hippeastrum) and poinsettias, paperwhites are popular Christmas gifts in North America. Forcing, the process of getting spring flowering bulbs to bloom early, is easy to do with paperwhite bulbs, which grow easily on gravel, in the same way that hyacinths and crocus bulbs grow in bulb vases. The most common paperwhite that I see in Toronto, is variety ‘Ziva’. While many members of the genus Narcissus, such as daffodils, are hardy, and grow in Canadian gardens, paperwhites are tender and only survive in North American gardening zones 8-11 across the very south of the USA. Jordan Bilsborrow is a Narcissus taxonomist who is doing his PhD in Alastair Culham’s lab. 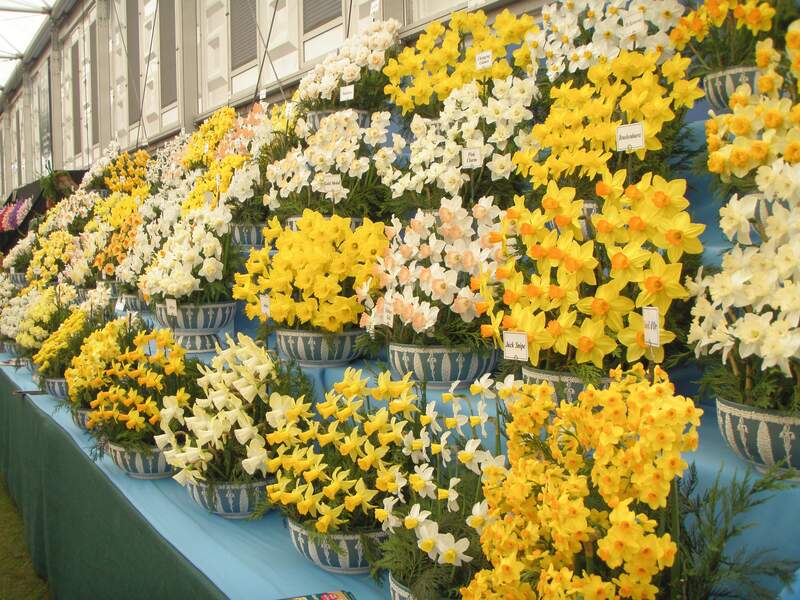 He’s co-supervised by Dr. John David, Head of Horticultural Taxonomy at the Royal Horticulture Society where the International Registration Authority for Daffodil cultivars is based. Jordan’s research looks at the taxonomy of Narcissus sections Jonquillae and Apodanthi. I learned from Jordan’s blog post, that depending on who you read, there may be 16-150 species of Narcissus. One of the reasons for the controversial and unresolved taxonomy of this genus is that that plants hybridize easily. Also, because they are so popular, there are a staggering 30,000 cultivars or varieties that have been bred, further adding to the taxonomic complexity. 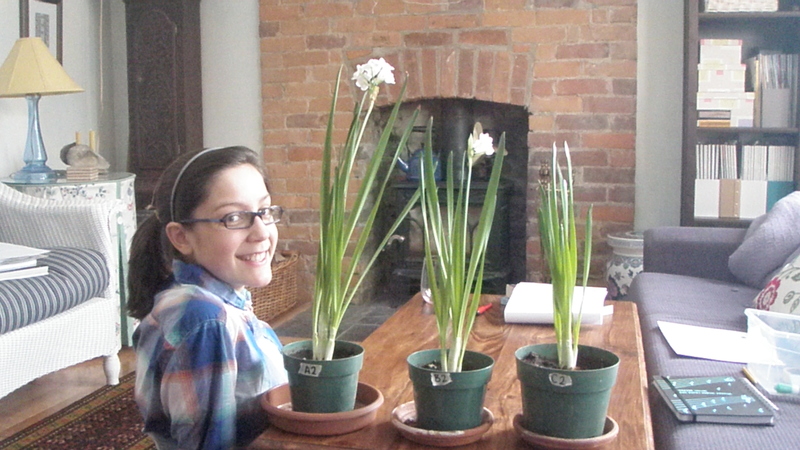 We did research on paperwhites at my house, when my younger daughter, Carrie, now a Biology undergraduate, made them the subject of her grade 8 science fair project. 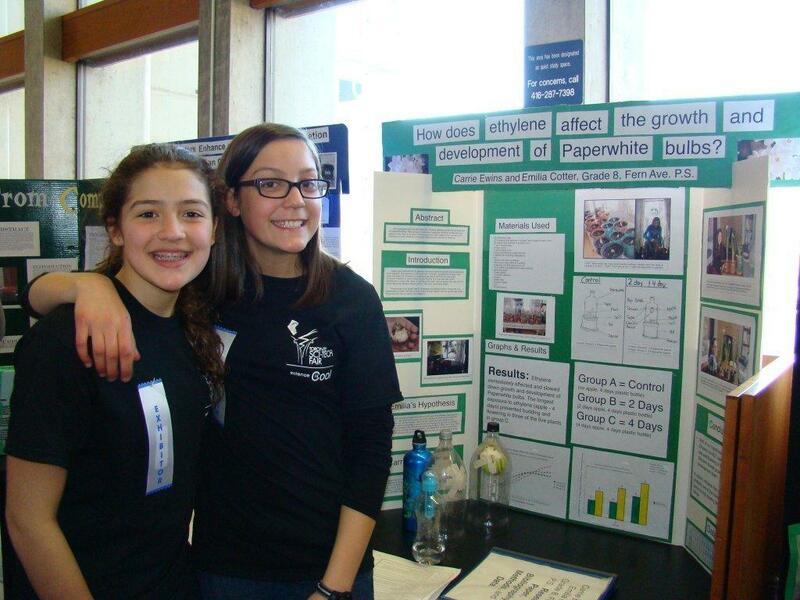 Carrie and her friend Emilia (now both at University) did their grade 8 science fair project in 2011, exposing bulbs to ethylene (from apples) and looking at how the bulb growth and flowering was affected. It turns out that exposure to ethylene causes the flowers to fail to develop – possibly a mechanism that is associated with seasonality responses – because a plant shouldn’t be flowering as it heads into Autumn and winter. We actually thought that ethylene might speed up the flowering process – but the result was the opposite. I was scrupulous to be an advisor and not a parent doing the project. 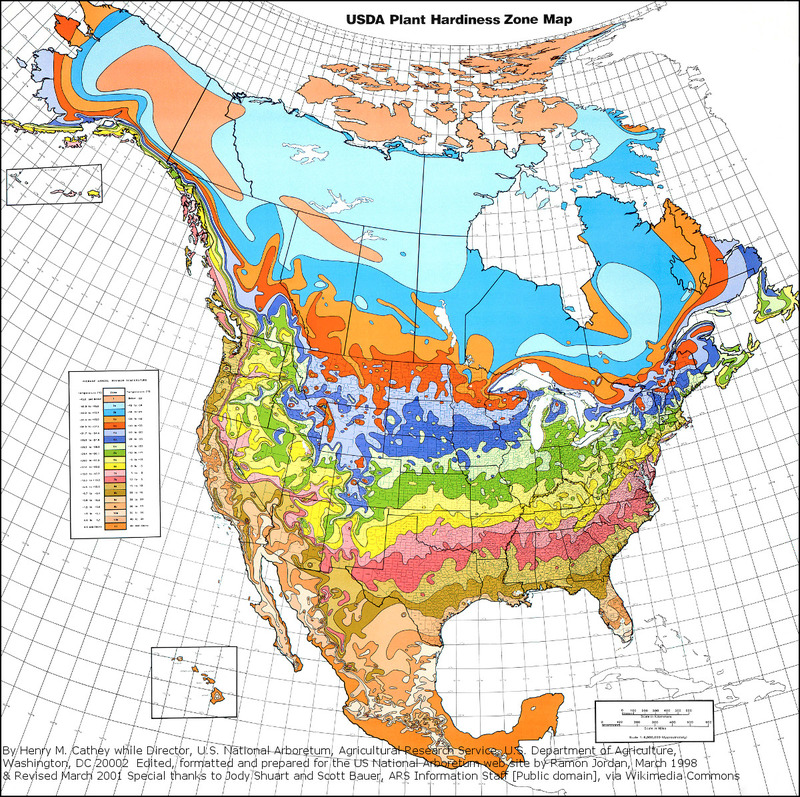 My input went little beyond telling them to read Raven plants text on plant hormones and helping them source the pots and bulbs. The girls measured the plants every other day for 30 days -great protocol and great learning experience – you don’t always get the results you expect but you can learn new things from that! Thanks to paperwhites, we can have the beauty of flowering Narcissus in the middle of winter, well ahead of spring-flowering plants outdoors.